In the past, dark décor has been given a bad rap for sucking up sunlight and making rooms appear smaller. 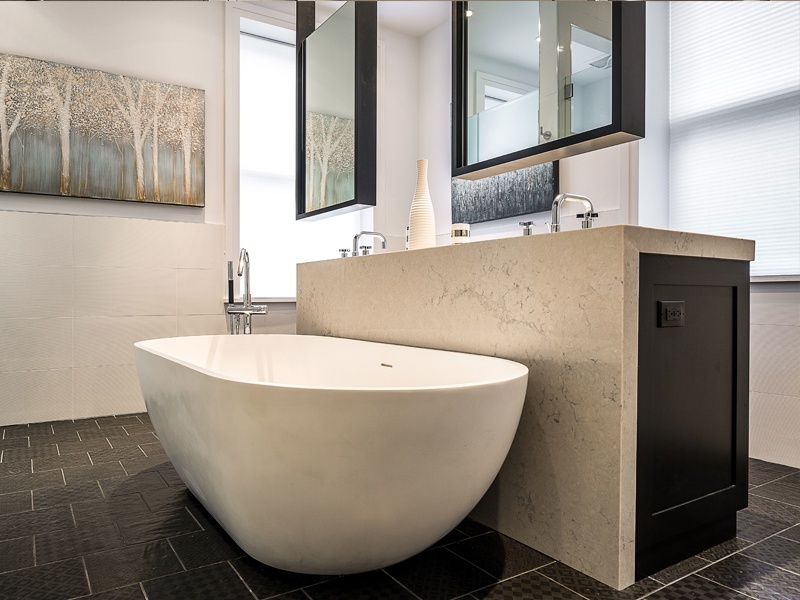 But when deployed correctly, black finishes and feature walls add an undeniable level of sophistication that can elevate spaces from blah to wow! The experts seem to agree that black is back. Elle Décor recently featured an epic slideshow of black interiors, and Apartment Therapy has some great tips for adding black walls into any space, large or small. On the Netflix Queer Eye reboot — everyone's favorite new tear-jerking binge-watch — designer Bobby Berk has been incorporating dark cabinetry, feature walls and furniture into nearly every home makeover. 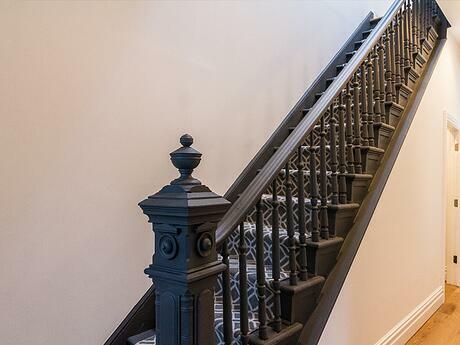 Interested in deploying some black design elements in your own abode? 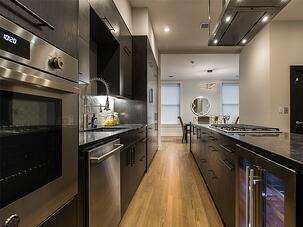 Let these ebony-filled Dixon homes provide the noir inspiration you need. Filled with uniform rows of quaint brick row houses, Striver's Row is known for its beautiful historic homes. 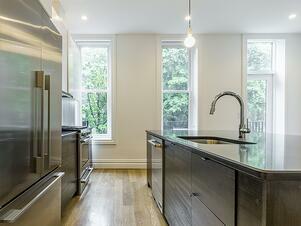 But inside the doors of this Price-Luce-designed stunner sit completely contemporary interiors that define drama. 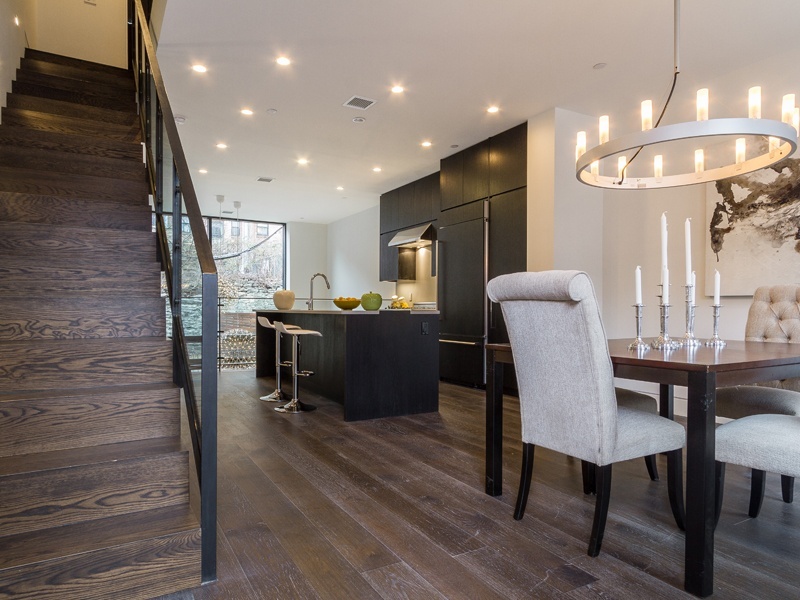 As a corner unit, the townhouse is flooded with light, giving the Dixon Projects team freedom to incorporate moody finishes without worry. 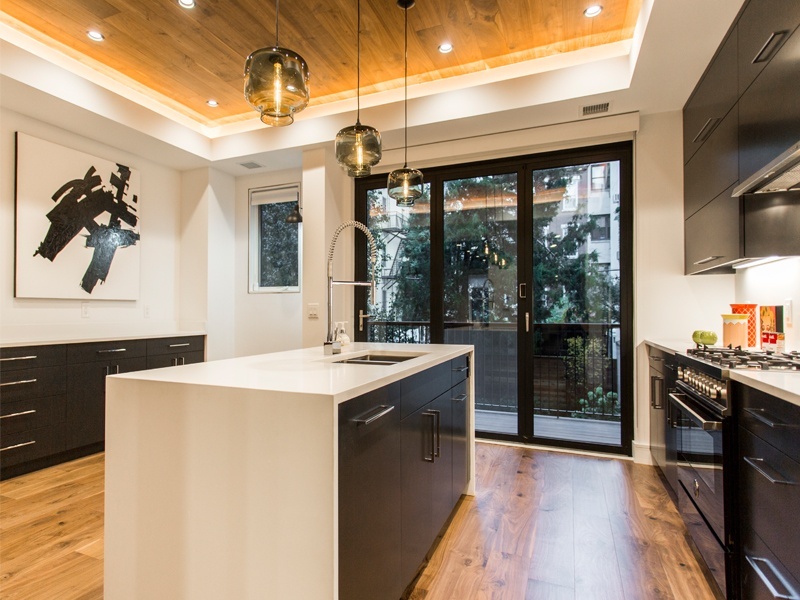 The textural kitchen embraces the dark side with a long waterfall island in Vanilla Noir Caesarstone. 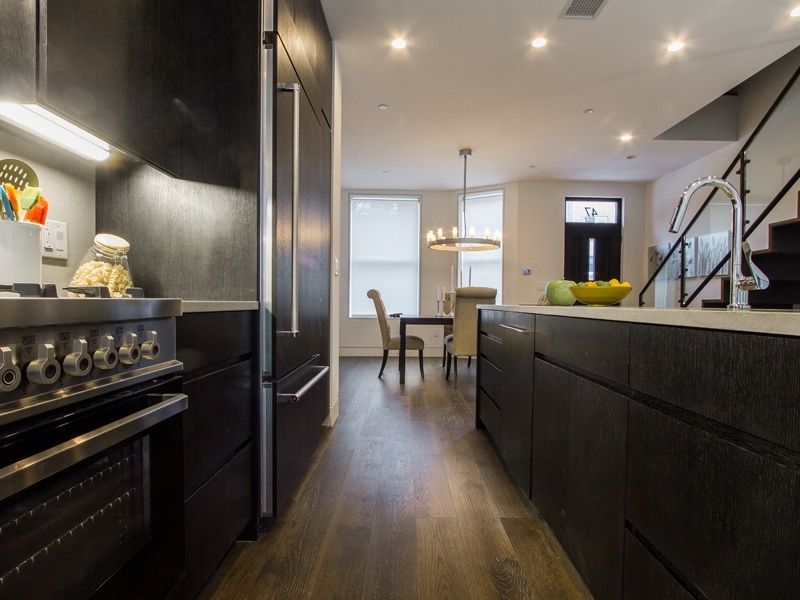 Cabinets boast liberal coats of dark stain that plays up the wood grain, and gray hexagonal tile adds a metallic feel. Striking wallpaper inside the elevator cab gives the illusion of dark mosaic tile. 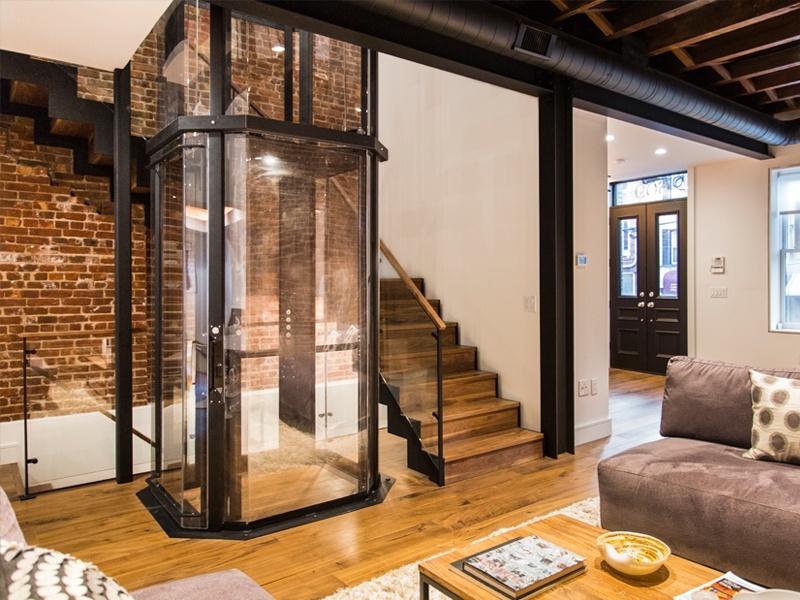 Thanks to the addition of a three-story rear glass curtain wall, this stunning townhouse is flooded with so much light and air, it feels like it could float. Here, abundant black details provide an anchoring effect that roots the home in its uniquely rocky terrain. On the parlor floor, the dark, but magnificent, kitchen recedes, allowing the double-height glass wall and the rear yard's granite garden to take center stage. 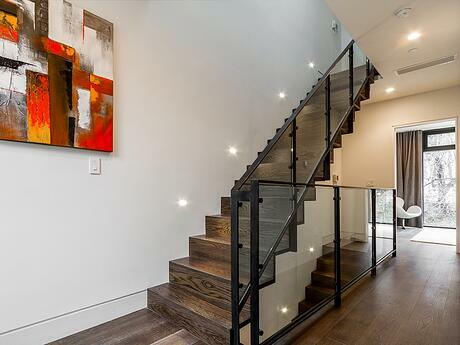 Ebony trim along the glass handrails eschews any sense of delicacy, and a dark accent wall in the master provides a focal point strong enough to compete with those gorgeous backyard views. 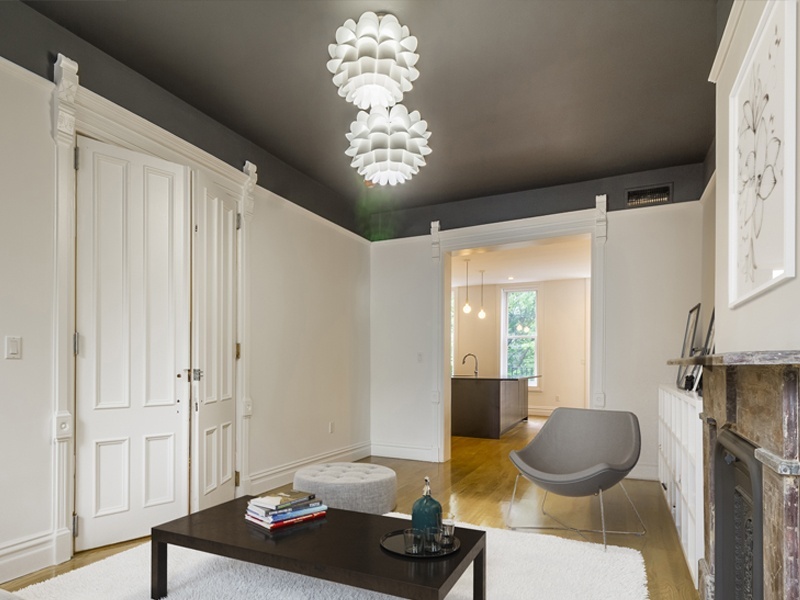 "Never paint a ceiling black" may be a design rule that was meant to be broken. 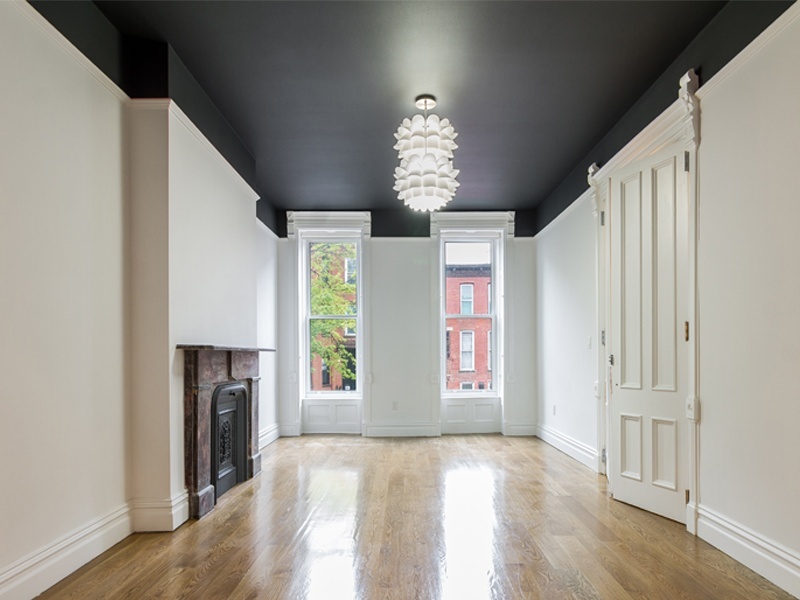 While the fear is a dark color overhead will make ceilings feel low and rooms seem oppressive, in this charming Bushwick townhouse, the color has the opposite effect. 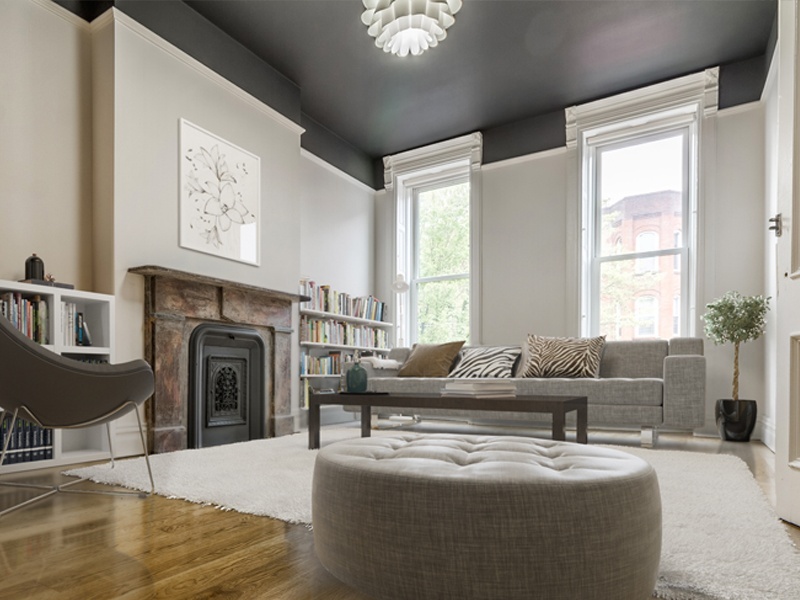 Treating the extra-tall ceiling to a coat of black paint gives the great room a livable scale while emphasizing the ornate trim around windows and doors. 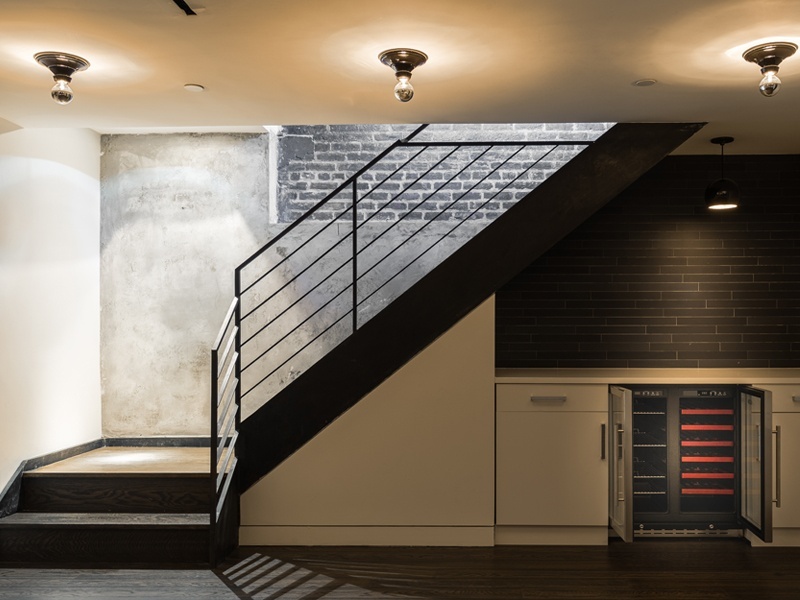 A moody dark kitchen provides consistency on the parlor level, and blackened handrails and fireplace grills carry the theme throughout. 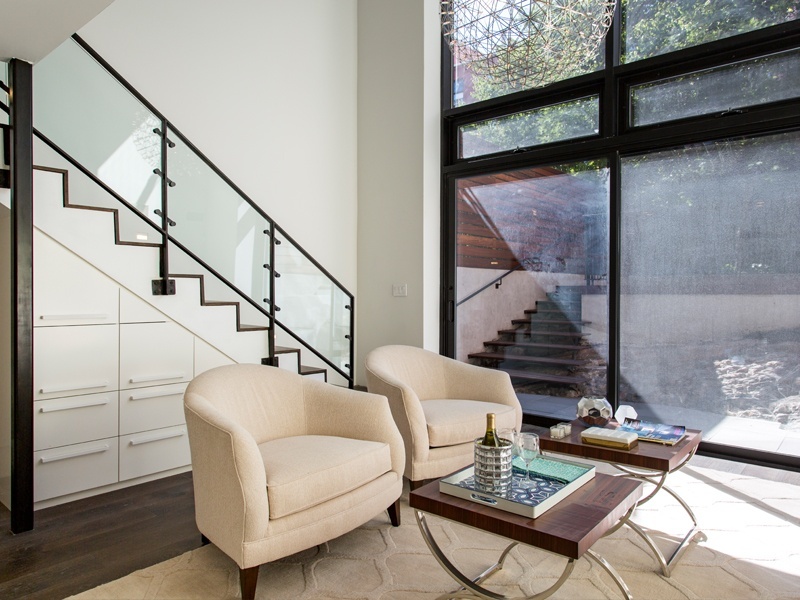 When Cheever Place, and the neighboring Kane Street home, were renovated, Dixon Projects' Head of Interior Design Steffen Ringelmann took ample inspiration from French design masters and the storied Brooklyn waterfront just two blocks away. 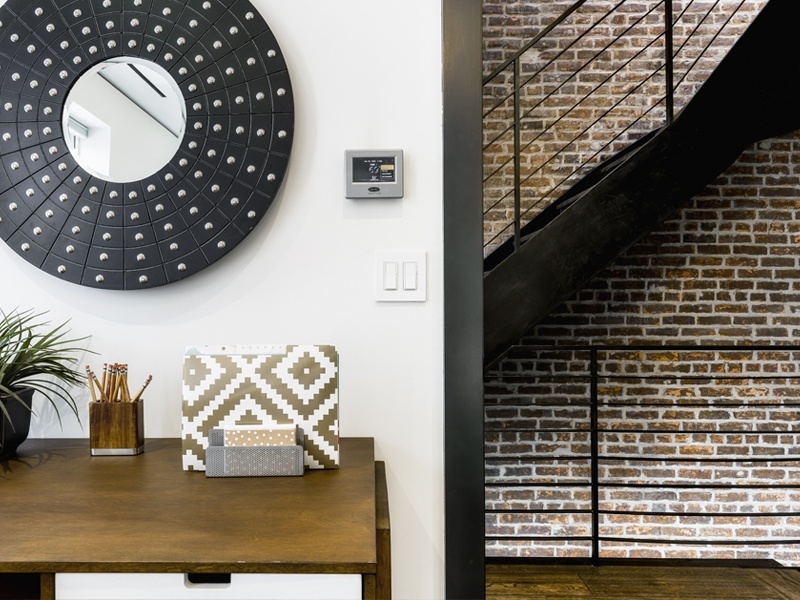 The resulting homes are solidly contemporary, but with a rustic tone underscored by exposed brick and blackened steel. 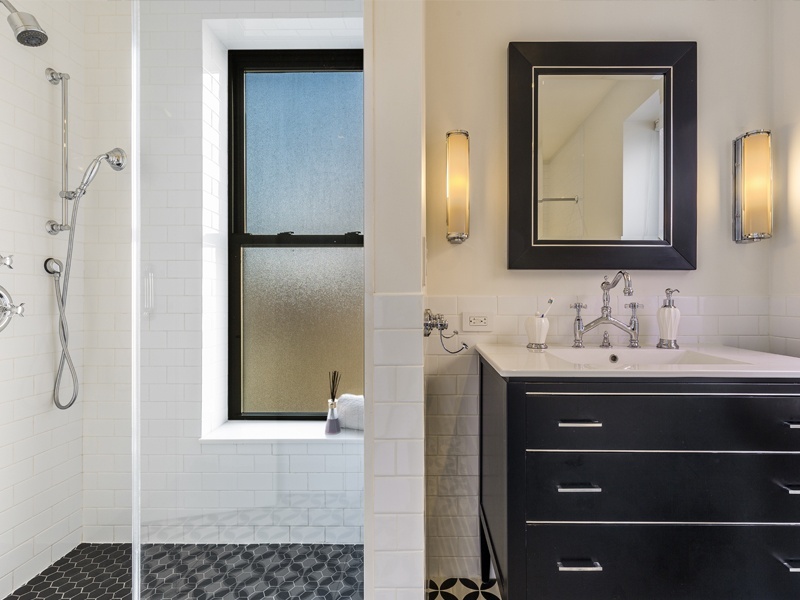 In the Cheever Place abode, all doors, trim and vanities are painted a distinctive black that adds cohesiveness and interest to the modestly sized home. 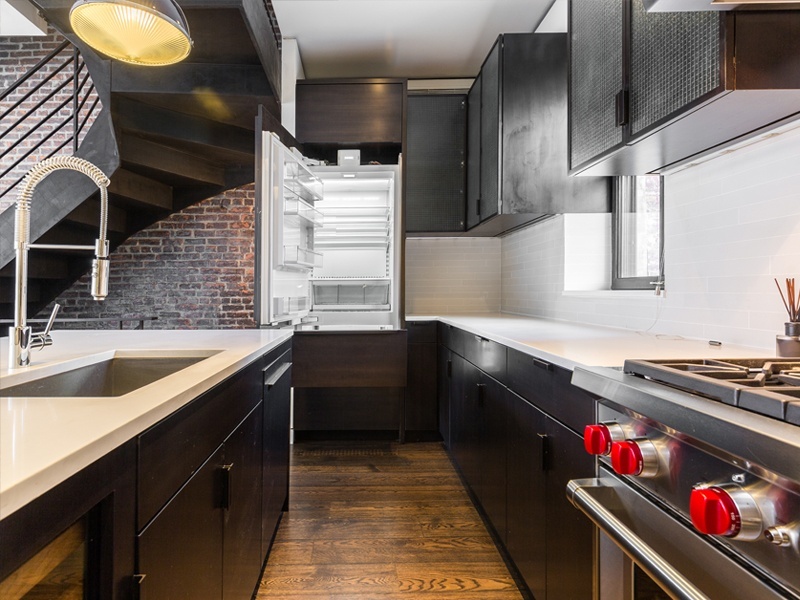 And in the kitchen, visible from the building's original storefront windows, ebony cabinetry is given industrial flair with unique wire-glass fronts. 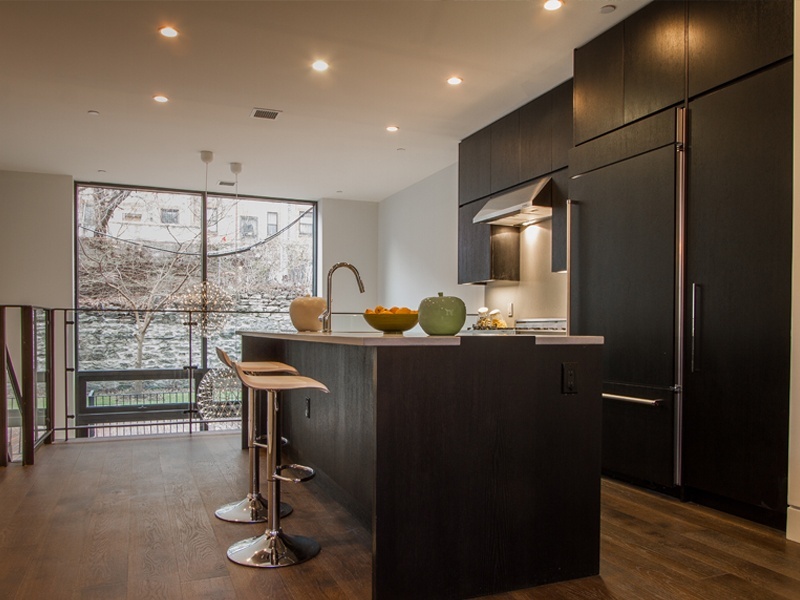 A blank-slate interior gave the Dixon Projects team free rein to transform this Hoboken row house into a modern masterpiece. 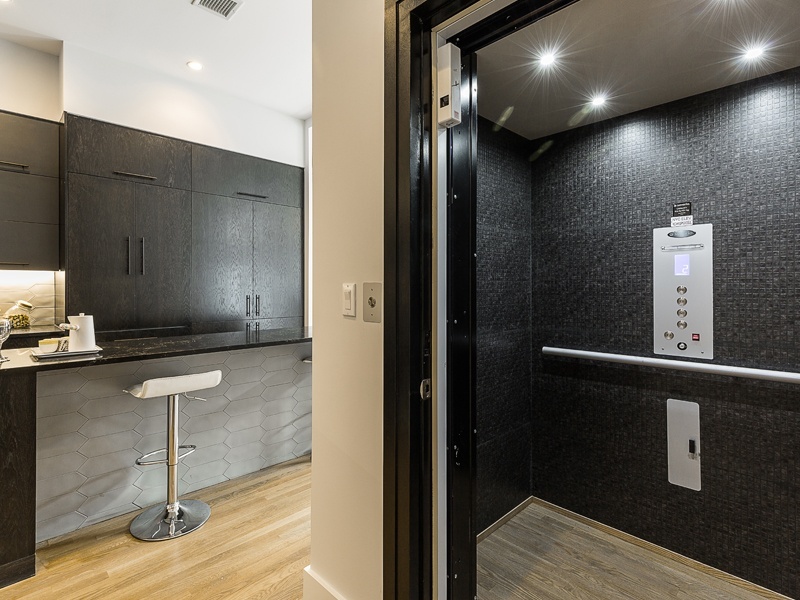 By implementing a skylit lightwell and glass elevator at the core, buoyant bright spaces are giving abundant matte black features to provide depth and heft. 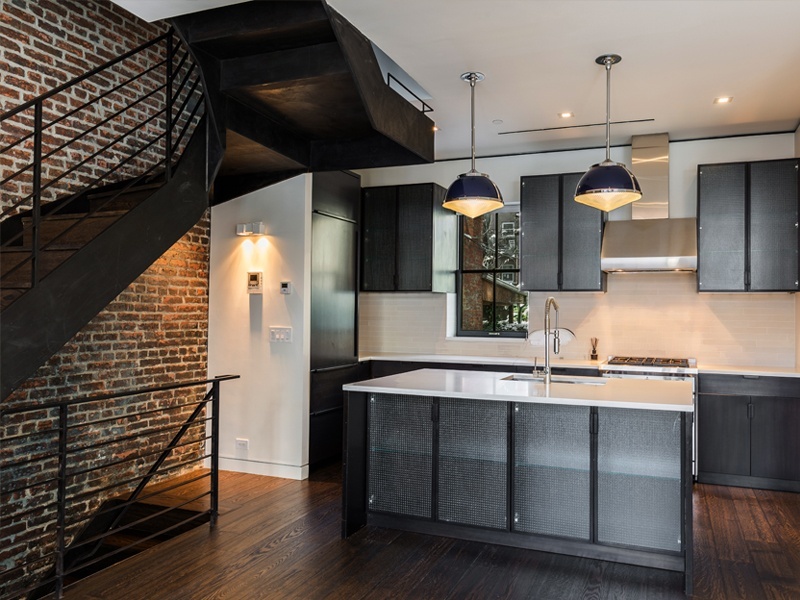 Blacked steel staircases and handrails, inside and out, tie the look together, and the subdued black kitchen cabinetry allows backyard views to take center stage. 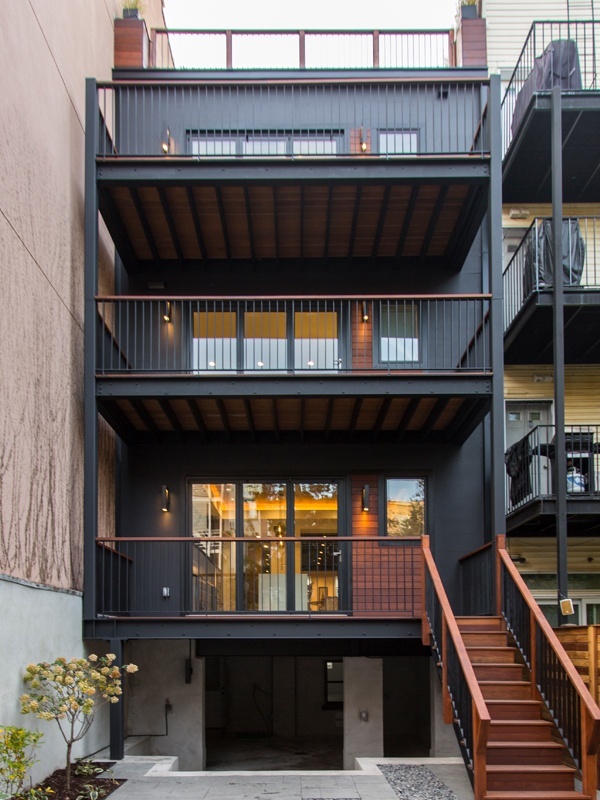 Out front, the bold black façade makes an impact that fits in perfectly on a block occupied by both modern buildings and historic homes. 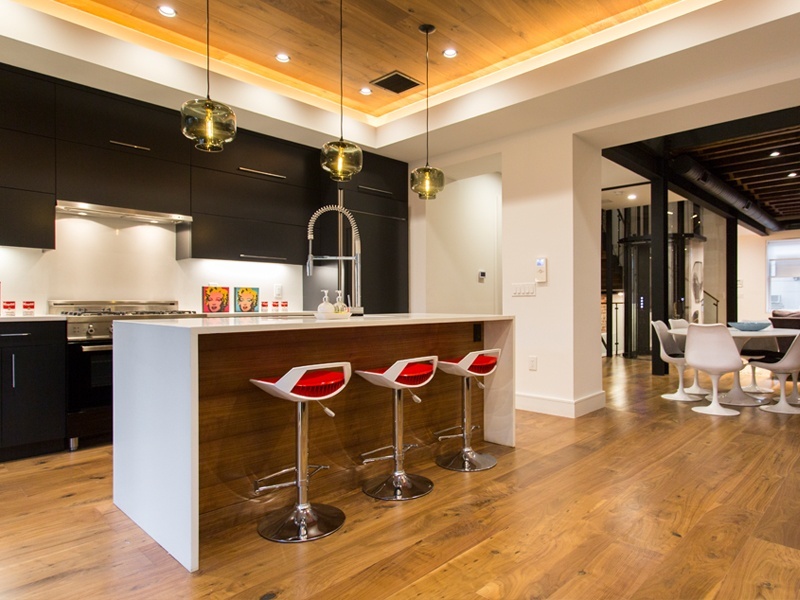 If you're looking to embrace this trend, Dixon Leasing and Dixon Projects offer homes and design services to meet your needs.